You are currently browsing the archives for the tag 'olympic city'. This is what the famous perfumer said about the beautiful Lausanne Palace & Spa hotel and I could do nothing else but agree with him. 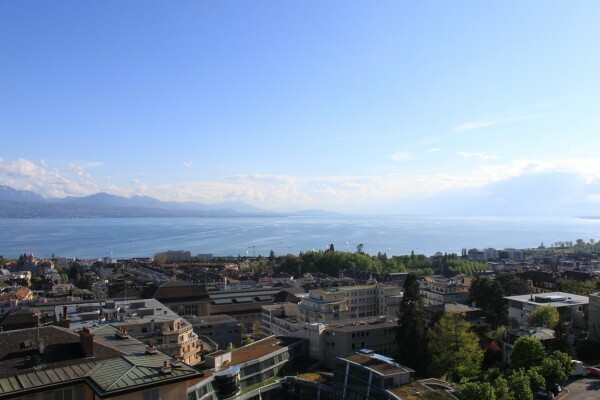 Located in the heart of the Olympic capital, with a magnificent view over the Lake Geneva and the Alps, this charming five-star luxury hotel is only a throw stone from the most elegant shopping streets and the picturesque old city. The entire property has been renovated over the past years, thus creating a unique environment, combining luxury and refinement, well-being and savoir-vivre. Its blend of the traditional with modernity is lending the hotel its unique character. 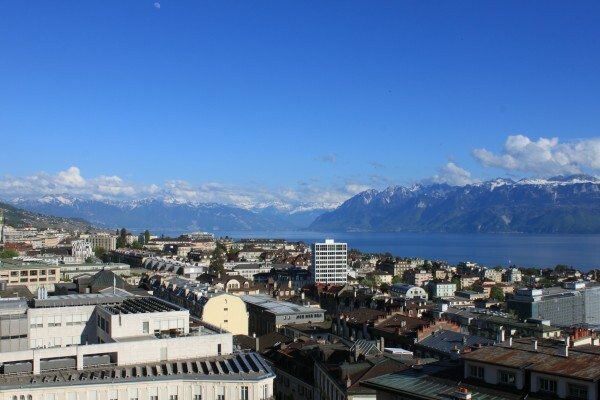 The Lausanne Palace & Spa, an unforgettable experience. Me in front of the Lausanne Palace & Spa, wearing a flared barnacle-intarsia dress by Alexander McQueen, a light blue leather jacket by Gucci and a black bag with golden zippers by Tom Ford and studded leather ankle boots by Valentino. My favourite flowers, peonies, were waiting for me. “The scent is soft and elegant recreating the impression the hotel itslef conveys. As you enter you are greeted at once by a marriage of elegant understatement, tradition, and refinement. 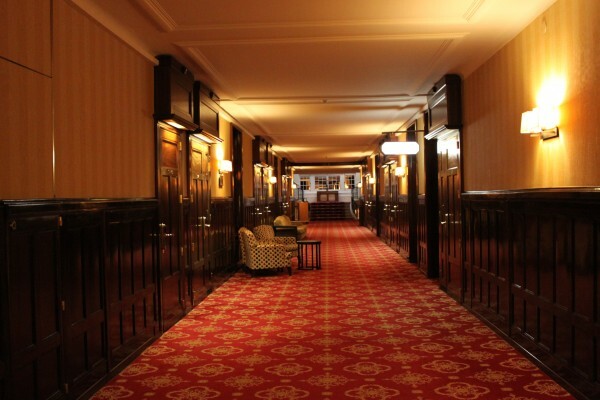 Some parts of the hotel are still reminiscent of its Belle Epoque soul. 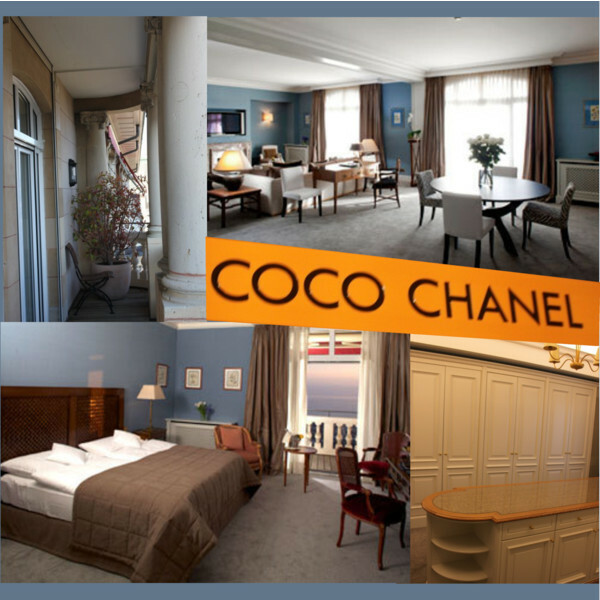 A privileged client of the Lausanne Palace & Spa for many years herself, the famous fashion designer Coco Chanel greatly inspired this suite in blue sky and cream tones. 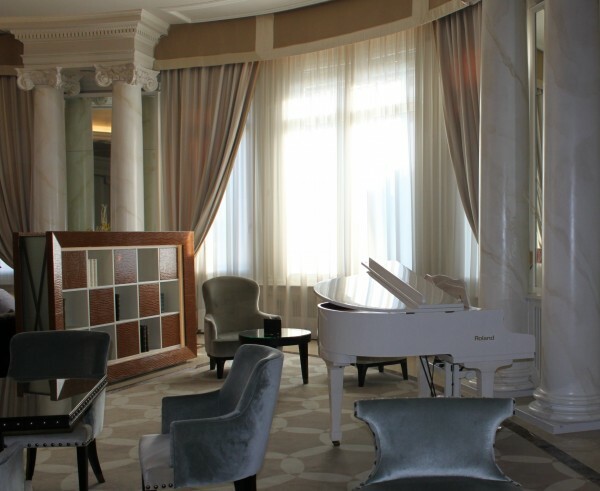 Located on the 5th floor of the Palace, the 170m² of space includes everything you can dream of. The best feature: A vast dressing room of 24m² embellished with an English shower judiciously completes this apartment. Princess Grace of Monaco, wrapped in her mink stole, and Prince Albert visited as well. Dining at Lausanne Palace & Spa is a true experience, thanks to four restaurants and a variety of culinary options. Le Côté Jardin offers healthy, creative Mediterranean-inspired cuisine. The Michelin-starred and the newly appointed 17/20 points Gaultmillau, La Table d’Edgard serves French-inspired gastronomic cuisine. Italian restaurant La Grappa is just a few minutes by feet away from the hotel. In the center of the lobby, the new 1915 Bar (the year of the hotel’s inauguration) welcomes the guests throughout the day. 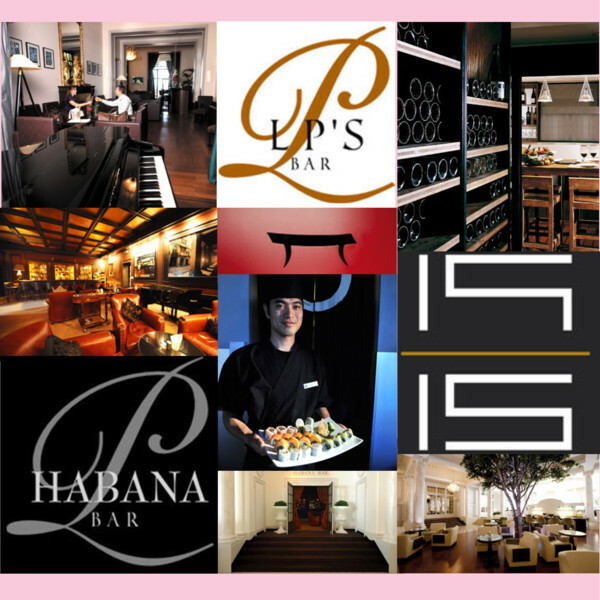 The LP’s Bar (above) and the Habana Bar (below) serve refreshing cocktails and cigars. 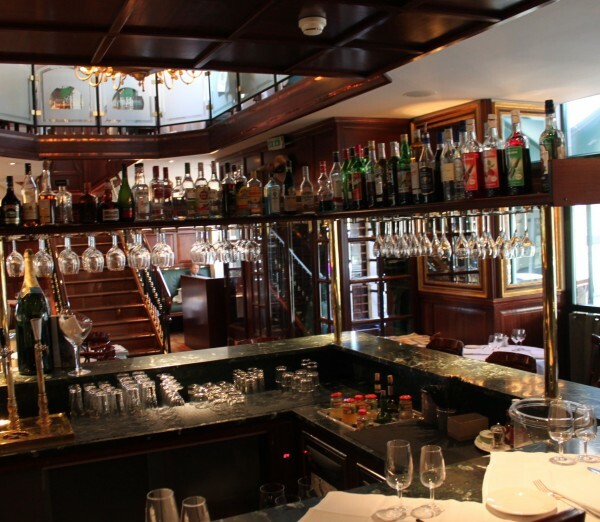 At the Parisian-style la Brasserie du Grand-Chêne, guests like the Rolling Stones, enjoy typical brasserie dishes, such as entrecôte with French fries. Opened from 6:30 am to 1:00 am, hot dishes served until midnight. The Palace Sushi Zen, where 3 specialists from the Land of the Rising Sun will prepare dishes in front of guests. 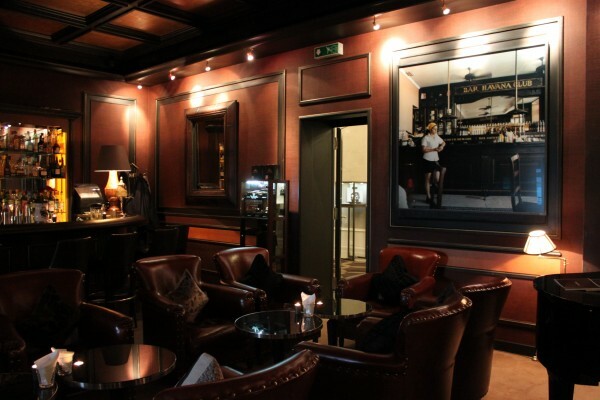 The Cellier invites you to taste carefully selected wines in an unforgettable setting. 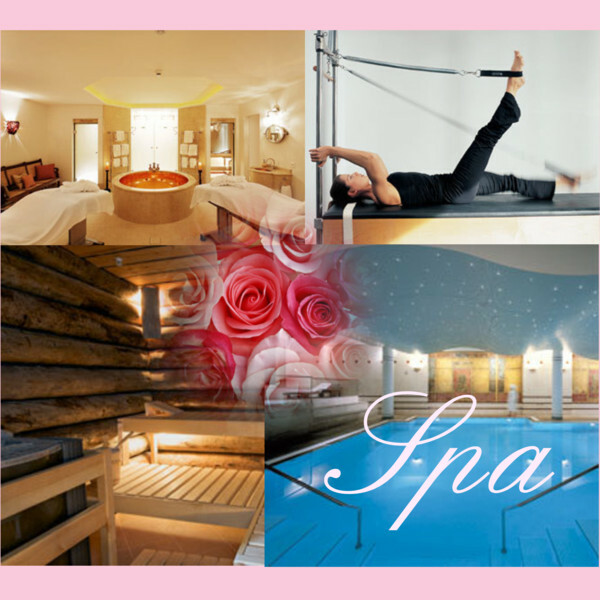 The 2100 square metres CBE Concept Spa of the Lausanne Palace offers a wide range of treatments, therapies and contemporary or traditional rituals: sports rooms, indoor pool, jacuzzi, sauna, hammam, solarium and relaxation rooms. I had an Ayurvedic massage which was absolutely wonderful. The Yogi Booster, a relaxing bar and lounge, to enjoy healthy drinks and treats in the spa. 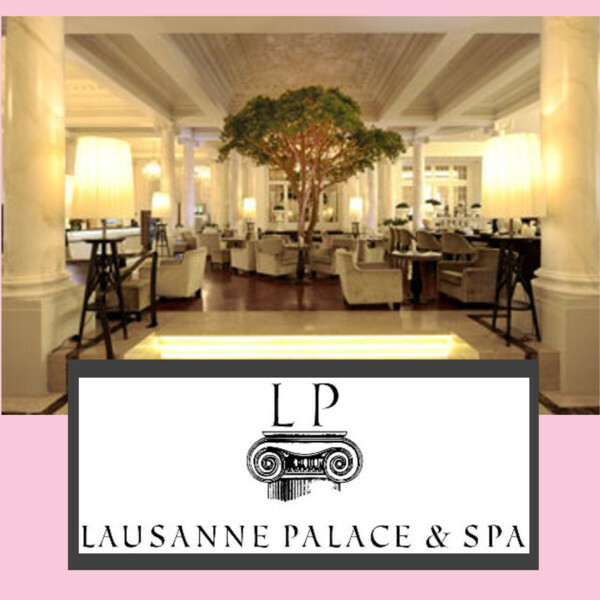 My stay at the Lausanne Palace & Spa was truly unforgettable and I can absolutely recommend this hotel and its boutique to you.